May 21-22, the first Global Innovation Forum was held in Beijing with the topic of “China’s Innovation Development and Global Economy”. 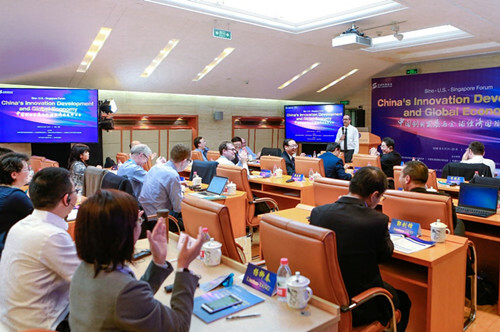 A “Think Tank Dialogue” on the high-quality growth of China’s economy and its relationship to global economy was initiated among experts from China, the United States, Singapore, Spain, etc. Novel theories and solutions, such as Ternary Fusion and Concept Innovation, are believed to have provided original solutions to China’s innovation development and integration into the global economy. Prof. Pan Jiaofeng, President of the Institutes of Science and Development, Chinese Academy of Sciences (CASISD), stated that the economy of China is confronted with the new round scientific and technological revolution and further industrial reforms, which brought about historically significant opportunities and have become the key driving force of economic transformation and high-quality growth for the innovation development of China. Moreover, a theoretical concept of the ternary human-cyber-physical society was propounded in the long run for the future society, where machine will gradually rise into a partnership with human beings rather than as tools or subordinates in the context of “machine wisdom” independence. China will continue to promote scientific and technological innovation progress, to build an all-dimensional, multi-level and multi-channel international cooperation system, to forge a community of shared future for mankind, and to promote the sustainable development of human civilization along with all countries in the world. Prof. Li Guojie, from the Institute of Computing Technology Chinese Academy of Sciences and also as a member of the Chinese Academy of Engineering, declared that China’s information industry has a weak foundation with core technologies at the mercy of foreign countries, and the computing consumption accounts relatively less out of the total information consumption. Nevertheless, in recent years, the industry of IC design has made great progresses and artificial intelligence (AI) industry maintains a favorable growth rate. Furthermore, Prof. Li claimed that considerable efforts should be exerted both on bridging the technical gap in the weakness of China and on exploiting ground-breaking fields: on one hand, to foster local high-end industries in the domestic market by taking advantage of wide cooperation so as to make major breakthroughs in core technologies and break the foreign monopoly on information industry; on the other hand, to encourage original innovations and emerging industries in the market competition, such as AI and big data. The economic success of China was attributed to the reform and opening up, according to Prof. Duan Peijun from Party School of the Central Committee of CPC, which is deemed as a big event in the world economic history during the period from 20th to 21st century. In addition, the economic growth of China is the key variable for world economy, and it will continue to impel the world economic growth as a major driver, which would even probably impact the trends and patterns of global development. With respect to China’s Belt and Road Initiative (BRI) project, Prof. James Crabtree from National University of Singapore suggested that China could reduce the risks by formalizing and building a transparent BRI’s institutional structure, including its project criteria and pipeline, in order to achieve a sustainable BRI expansion. The global innovation development is in a rising trend amid the new round of economic integration. The economic activities, including global trade, are facing up to new opportunities and challenges that imposing an important impact upon China's economic development. Moreover, the further cooperation and development between the Chinese and global economy will undoubtedly benefit the endeavor to build a community of shared future for mankind. China’s innovation development has enriched globalization as an important impetus, and the “Globalization 2.0” could be attained after its integration with global economy. 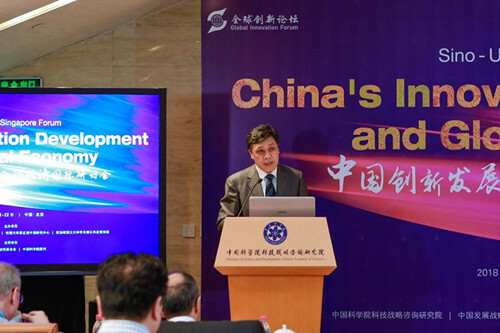 Deep and broad discussions were also carried out in this seminar with various themes on finance for science & technology, energy industry of China, One Belt One Road Initiative, trade and innovation, the international economic order, RMB internationalization, and so on. In the end of the conference, Pan Jiaofeng summarized that an open and in-depth communication was conducted on the topic of “China’s Innovation Development and Global Economy” among experts from different countries in the forum, coming up with various and constructive suggestion and advices, which remarkably promoted scholars from China, the US and New Zealand to reach a consensus on related issues. Prof. Michael Szonyi, from Fairbank Center for Chinese Studies at Harvard University, also regarded the forum as such a success that scholars participated were greatly inspired, and his group will continue to support the next seminar. 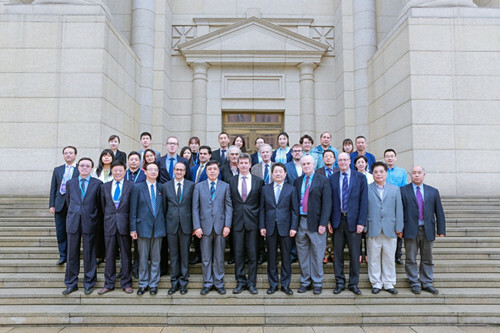 This forum was hosted by the Institutes of Science and Development, Chinese Academy of Sciences together with the Chinese Association of Development Strategy Studies, Fairbank Center for Chinese Studies of Harvard University, and Lee Kuan Yew School of Public Policy of the National University of Singapore. More than 20 experts have presented their report, who are from Chinese Academy of Sciences, the Party School of the Central Committee of CPC, Development Research Center of the State Council, Chinese Academy of Macroeconomic Research, Peking University, Fairbank Center for Chinese Studies of Harvard University, Lee Kuan Yew School of Public Policy of the National University of Singapore, Elcano Royal Institute of Spain, China Aerospace Academy of Systems Science and Engineering etc. This international seminar is also one of the activities of the "Global Innovation Forum" of CASISD.